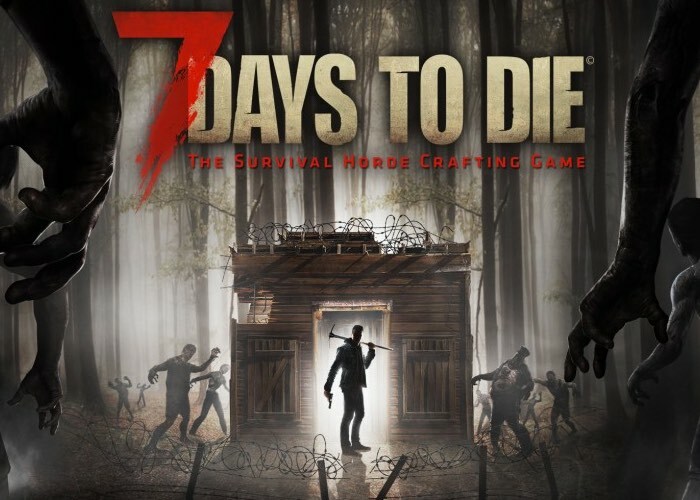 Those of you looking forward to the launch of the new 7 Days To Die zombie survival and crafting game but will be launching at the end of this month on June 28th, 2016 and will be available to play on PlayStation 4 and Xbox One. Will be pleased to learn that it is now available to pre-purchase and pre-download in preparation for its launch date. 7 Days To Die Has been available via Steam Early Access for PC and OS X since December 13th, 2013 and is now gearing up for an official launch across all major platforms. Check out the video below to learn more about this new spin on survival horror which is set in an open world environment and has been developed by The Fun Pimps. The game’s main focus is to have the players try to survive the night, as the game features a day and night cycle, making the zombies slow and weak during the day, yet fast and aggressive during night-time. The game features a system in which the character constantly needs food and water. Objects in the world degrade through use, so the player has to search for or make new tools as the game progresses. The player can build their own house or destroy existing ones in order to gather materials to construct a fort. The game also features a stealth and distraction system to avoid unnecessary conflict with the zombies. Carrying raw meat or foods that have a smell means the zombies can detect the player. The zombies in 7 Days to Die will climb, dig, destroy walls, doors to get to the player and kill them. The player needs to set up traps for the defense of his or her base in order to survive.